DWA-123 is 1x1 Single band Wireless N 150 USB Adapter. 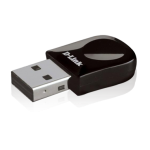 It is the Lite version of D-Link wireless N 150 USB adapter. It complies with IEEE 802.11n and backward compatible to 802.11g and 802.11b. The data rate is up to 150Mbps and is able to support Windows 7 OS. 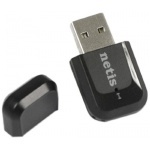 The smallest Wi-Fi certified 802.11n Wireless USB Adapter. With its unique ‘Firefly’ design and unmatched performance, this ultra-portable USB adapter is an ideal choice for setting up a secure wireless connection. 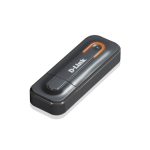 D-Link DWA-131 Wireless N Nano USB Adapter provides superior wireless signal for your computer compared to the existing wireless 802.11g technology. It uses smart Antenna technology to transmit multiple streams of data allowing users to receive wireless signals from the farthest corners of their homes. Furthermore, DWA-131 Wireless N technology extends wireless range, while maintaining compatibility with all the existing 802.11b/g wireless routers and access points. The Wi-Fi Protected Setup (WPS) feature enables devices to establish an easy, one-time, single-click connection with an access point or wireless router, eliminating complex encryption codes. USB adapter for notebook& PC computer. Follow IEEE 802.11n industry standard and compatible with existing 802.11b/g wireless device. Wireless Standards - IEEE 802.11b, IEEE 802.11g, IEEE 802.11n, Up to 150Mbps Signal Rate , Frequency Range 2.4 - 2.4835 GHz, Mode Station, Access Point, 64/128-bit WEP, WPA-PSK/WPA2-PSK Wireless Security Support, USB 2.0 Hardware Port, WPS Button, Dimensions (L x W x H ) 14 x 19 x 7 mm, 2 g Weight , FCC, CE, KC, NCC, BSMI Certification, Compatibility OS - Windows XP (32/64bits), Window Vista (32/64bits), Windows 7 (32/64bits), Windows 8 (32/64bits), Linux; Mac OS, Environment Operating Temperature: 0 - 40 Degree C, Storage Temperature: -40 Degree C - 70 Degree C, Operating Humidity: 10 percent - 90 percent non-condensing, Storage Humidity: 5 percent - 90 percent non-condensing. 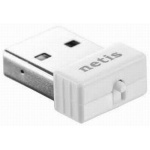 The netis WF2123 300Mbps Wireless N Nano USB Adapter is designed to connect a desktop or notebook computer to a wireless network and access high-speed Internet connection. It's compatible with 802.11b/g/n devices and provides the wireless transfer speed up to 300Mbps, offering a better performance on online gaming, video streaming, and VoIP phone calling. With the 802.11n MIMO technology, it ensures a strong and stable wireless connection and allows you to enjoy the wireless freedom around your home. With a vision to deliver Value for money product, we have crafted "imKarting". It is Sellers & Brand specific virtual place where people can shop trusted products backed by fast and reliable delivery and convenient payments options. At seamless shopping destination "imKarting", buyers has a choice of products from brand like "PMXS", "LapCare" , "Dell","Quick Heal","Netgear","Tenda" etc.
" Without any doubt one of the best cart I have used. The title says it all - imkarting is undoubtedly the best I have used ... "
" Will not disappoint using this cart. All good is already mentioned, I want to add my experience with support. Faster than paid shopping cart we had before."